FPJ readers have voted for their industry champions at the 2018 UK Fruit & Vegetable Awards. The awards, which see subscribers pick their winners, were presented at the Ricoh Arena in Coventry on the eve of FPJ Live 18 at a fun and informal Awards Social. Big winners on the night included MMUK, whose initiative with G's, Waste Not, collected The Sustainability Award and Best Retail Concept. G's Emma Watson also enjoyed personal success in the MorePeople Young Person of the Year category, while Berry Gardens' Duncan Mills collected the Unsung Hero gong. It was a good night for Berry Gardens, who also picked up the award for best Charitable Initiative. Produce Solutions, a division of Greenvale, got the nod for best Initiative in Growing or R&D, while G's collected another prize in the Coveris Product or Packaging Innovation category for its new mushroom packs. 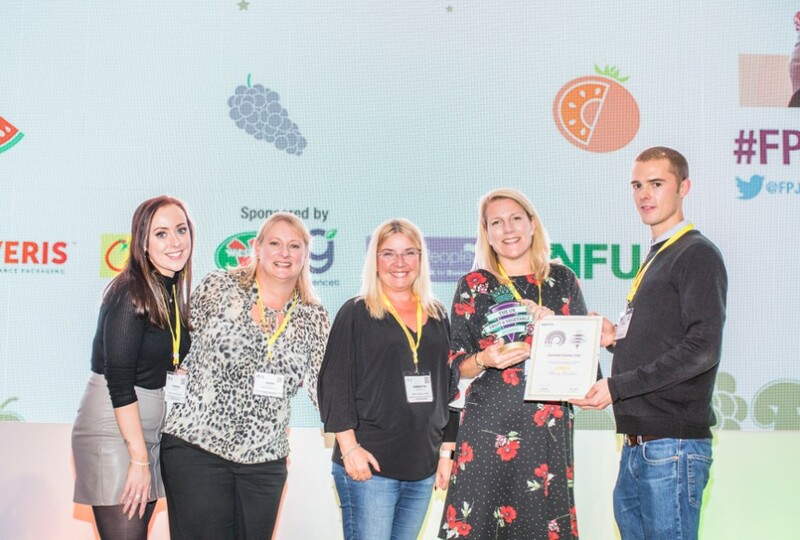 Nationwide Produce was named Wholesale/Catering Supplier of the Year and Angus Soft Fruits won Fresh Produce Grower/Supplier of the Year. Aldi's Get Set to Eat Fresh campaign won it the best Marketing Campaign award, while readers voted Tesco their Fresh Produce Retailer of the Year. A special FPJ Editors' Award, selected by FPJ's team of journalists and sponsored by Greencell, was awarded to former Poupart and British Summer Fruits chairman Laurence Olins. FPJ editor Michael Barker said: "Our first-ever awards night was a lot of fun and it was a great pleasure to see the winners collect their well-deserved trophies. The competition was stiff this year, and the winners can truly say they are their peers' champions." For full reports of FPJ Live 2018, see FPJ, out 19/10/2018 and www.fpj.co.uk.